Johannesburg – The South African economy may be out of a technical recession, but analysts are still concerned that GDP growth is not robust enough, with projections for 2017 still below 1%. Statistics South Africa (StatsSA) on Tuesday released GDP figures for the second quarter of 2017, which showed growth of 2.5%. This was a turnaround from the 0.7% decline reported in the previous quarter. The primary sector contributed significantly to growth, with agriculture up 33.6% and mining up 3.9% reported StatsSA. The agriculture sector’s contribution to GDP was 0.7%. In response to the StatsSA report, Stanlib chief economist Kevin Lings said that, if the primary sector were excluded, the country's GDP growth would have only been 1.5% for the quarter. He said other sectors reported growth from a low base, which does not signal a “broad-based revival" in the South African economy. “It seems clear that the SA economy has been hurt by a systematic deterioration in both consumer and business confidence, much of which is due to the uncertain political environment,” said Lings. Since the global financial crisis in 2009, growth has not been substantial enough to create jobs in the private sector. Stanlib expects growth to be 0.7% for 2017. The turnaround in the agriculture sector followed the recovery from the drought, improved export commodity prices and lower consumer inflation. “Given that the core of the South African economy (retail, manufacturing, finance) remains weak and vulnerable to further confidence shocks, it would appear that South Africa is going to struggle to maintain a growth rate of 2.5% over the next two years,” said Lings. Low growth meant the country was still vulnerable to further credit rating downgrades. It will also be increasingly difficult to meet fiscal projections, adding to social, political and economic pressures, he said. FNB senior economist Mamello Matikinca said that GDP growth below 1% was expected for 2017, as structural difficulties would likely prevent any “meaningful” lift in economic growth. Matikinca was also cautious about the other sectors. The mining industry, while having contributed 0.3 of a percentage point to GDP, could still be impacted by possible strike action and “heightened” political uncertainty. Matikinca also noted that government services expenditure was down 0.6% for the quarter. Although this reflected efforts being made toward fiscal consolidation, in the long term it did not bode well for growth, he said. Citibank, meanwhile, has revised its 2017 South African growth forecast from 0.5% to 0.7%. The bank also expects 75 basis points in rate cuts. Citibank economist Gina Schoeman noted the 2.6% contraction for gross fixed capital expenditure. Only capital expenditure (capex) on machinery reflected growth (0.9%), while reduction in residential buildings was behind the overall decline, StatsSA’s chief director of National Accounts Michael Manamela explained. Gideon Pimstone, a market analyst at Consilium Group, said lower investment was a reflection of subdued business confidence. “Business confidence is essential to any growth strategy. We do not see any coherent policy agenda coming out of government at present,” he said. Maarten Ackerman, chief economist and advisory partner at Citadel, said the decline in investment for construction, residential and non-residential buildings all indicate that future confidence in the economy and policy remained low. “This deteriorating economic environment resulted in the recent credit downgrade. If we can’t reverse this underperforming economic trend soon, our fiscal position will become unsustainable,” he said. Investec, meanwhile, expects growth of 0.5% for the year, said economist Kamilla Kaplan. 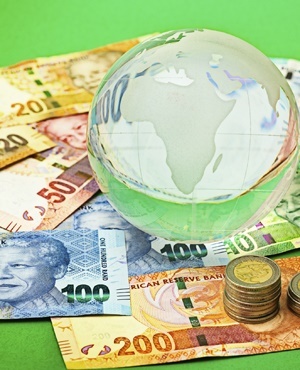 “SA’s performance diverges from the synchronised global economic upswing,” she said. Global confidence levels, industrial production and trade indicators all confirmed a sustained strengthening of the global cyclical recovery, she said. .
Kaplan also said that the latest GDP data was unlikely to influence the South African Reserve Bank’s decision at the next monetary policy committee meeting. “The committee is likely to remain focused on the prospects for and risks to inflation and growth,” she said.